Mosimann is back on Nicky Romero’s Protocol Recordings with his first release of 2019. “I Need” displays Mosimann’s energetic, progressive sound through its bouncy basslines and groovy melodies, giving the track dancefloor credibility both in the club and at the festival stage. Uplifting vocal riffs act as the finishing touch to “I Need,” lending some feel-good, disco influenced vibes to the track that will have you belting out the lyrics in no time. 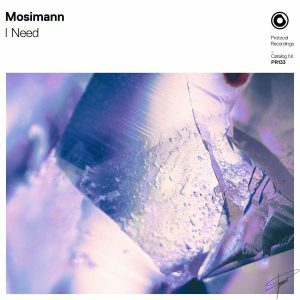 “I Need” is Mosimann’s fourth release on Protocol. Press play on “I Need” and let Mosimann whisk you away to house music heaven.